If you’ve got lots of ski trips under your belt and want a high performance ski that doesn’t compromise on fun, look no further than the Head Total Joy. 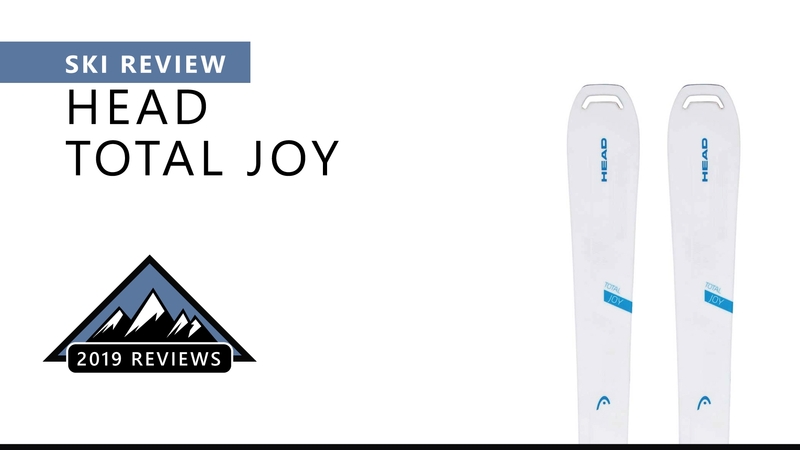 Sitting firmly in the middle of the Joy series, the Total Joy is one of the most versatile women’s skis Head has to offer. Designed for the intermediate to advanced female skier who can’t pick between carving down the groomers or getting in some early morning powder turns, the Total Joy is a true workhorse thanks to its versatile shape, profile and top of the range core construction. Boasting simple good looks and tried and tested technology beneath the surface, here’s a ski that lets your skiing do the talking. The Graphene KOROYD Carbon Construction is one of the standout technologies of the Total Joy, Graphene being one of the strongest and most lightweight materials in the world. As hard as diamonds and lighter than a feather, it's the secret weapon of this ski. When combined with a super light wood core and fibreglass stringers, the result is a super smooth ride that makes underfoot vibrations and flappy tips a thing of the past, no matter what the terrain. The AllRide Rocker coupled with an 85mm waist creates a nimble ski that performs in all environments, from pristine pistes to chopped up powder. It also features a women’s-specific camber, which makes the ski easier to load up during the turn and easier to control on exiting the turn, without lacking on edge hold. The Total Joy’s other secret weapon is ERA 3.0 technology, a fine tuning of each ski in the Joy series to ensure it really does what it’s designed for. The Total Joy’s rocker, turning radius and flex have all been finely tweaked to make it perfectly suited to the high-level intermediate female skier who wants to ski everything in eyeshot.